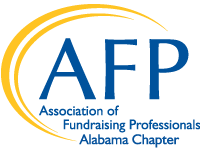 Job postings are free for organizations that have an AFP Alabama member on their staff. Job postings for non-members are $50 each. If you are a not a member of AFP Alabama and wish to post a job, please send a check payable to AFP Alabama to P. O. Box 130365, Birmingham, AL 35213. Payments must be made before jobs will be posted. Complete and email this form to afpalabama1@gmail.com. The Individual Giving Manager is responsible for cultivating and soliciting support from individuals. This position works to establish long-term relationships, strengthen existing relationships, and initiate new contacts. The desired candidate will provide the expertise to advance the Alabama Symphony Orchestra’s interests by cultivating and engaging donors. Click here for more information. The Development Director will be responsible for leading all ongoing fundraising and operational needs, including, but not limited to, maintaining and cultivating relationships with major donors, planning and executing annual fundraising events, establishing plans to develop alternative revenue streams, and building endowment for future funding. The Development Director provides leadership toward the achievement of revenue development goals in line with Better Basics’ vision and needs. He/she maintains public awareness of Better Basics through virtual platforms. Click here for more information. Forge is seeking an energetic, flexible, intuitive, and highly organized individual to join our team as a Manager of Community Outreach. A successful Manager of Community Outreach must be confident in their abilities to play a major role in building a strong financial and community support base to sustain our work. A Manager of Community Outreach will report to the Executive Director. They will work alongside Forge’s Executive Director to ensure that our financial growth runs parallel to our program growth and ensure that our work is relevant, meaningful, and effective (and effectively measured and communicated). Click here for more information. Forge is seeking an energetic, flexible, intuitive, and highly organized individual to join our team as a Director of Human Resources & Strategy (DHRS). This role is initially planned for part-time but can move to full-time within six months depending upon the needs of the organization and the individual. The DHRS will be responsible for overseeing the development and implementation of human resource policies, programs, and services, including benefits programs. The DHRS will be a highly intelligent self-starter who will have experience in managing human resources and finances for small- to medium-size organizations, preferably in a social service nonprofit setting. Click here for more information. Forge is seeking an energetic, results-driven, and highly organized individual to join our team as Data Engineer. This role is initially planned for an as-needed contract basis but may have the opportunity for part-time or full-time work depending upon the needs of the organization and the contractor. The Data Engineer will be responsible for the data and outcomes management for the high-impact programming that Forge offers the community. Click here for more information. This employee is responsible for managing, cultivating, and soliciting a select group of donors. He or she functions as part of a multi-disciplinary team responsible for innovative approaches to crafting gift opportunities and engaging donors in SPLC’s work and is a key team member in the development of overall goals and strategies. The employee must enthusiastically support the Southern Poverty Law Center’s mission and accurately relay its work to a variety of constituents. Click here for more information. The Development Specialist is responsible for managing donor databases and correspondence to support the communications and fund development team. Click here for more information. The Communications Manager’s primary responsibilities are clearly communicating Glenwood’s mission and impact of services and managing the Junior Board and its activities. Click here for more information. A member of the five-person Giving Strategies team, the Director of Gift Planning is responsible for working with donors, professional advisors and the foundation staff to develop complex and deferred gifts for the benefit of Greater Birmingham. Click here for more information. The Manager of Member Services is a full-time position responsible for developing and implementing strategies for meeting membership revenue goals and ensuring that we are providing the best possible customer service in order to support membership sustainability and growth. The Manager of Member Services will also work with the development staff to help support contributed revenue goals as needed. The typical work week for this position is Tuesday through Saturday with one Saturday off per month. Click here for more information. The YMCA of Greater Birmingham is seeking a Director of Development who will help grow the Financial Development efforts, manage the administrative aspects of the Annual Campaign and related staff activities, as well as support the efforts to expand the volunteer base. Click here for more information. The full-time Development Manager for Individual Giving is primarily responsible for managing individual donor giving programs, preparing and distributing donor communications, proposal writing, managing donor events, maintaining accurate information about donors, and managing donor benefits. Click here for more information. The Mountain Brook City Schools Foundation is looking for an innovative and highly engaging Director to lead the organization and implement fundraising goals. The ideal candidate will have a proven track record in meeting and exceeding fundraising goals. The candidate should be an exceptional relationship builder, collaborator, and a committed fundraiser capable of working with donors of varied backgrounds. This is a full-time, 12-month position with a primary focus of fundraising and stewardship. Click here for more information. The Senior Director, Development will help The Women's Fund of Greater Birmingham meet an annual $1,500,000 goal as well as plan, organize, direct and manage major gifts, planned giving and corporate giving. Click here for more information. The Nature Conservancy in Alabama seeks a dynamic team player and problem solver with excellent people skills and knowledge/experience with database management, gift coding, donor relations, research and basic accounting procedures. This donor support position reports to the Director of Philanthropy. The candidate is responsible for maintaining accurate donor records and may manage specific constituencies, projects and events for the team. We appreciate collaborative approaches and encourage innovative ideas and recommendations. A Bachelor’s degree and 2 years of related experience or equivalent combination is required. Cross-cultural and multilingual skills appreciated. Full-time position with excellent compensation and benefits. Click here for more information. The Development Manager is responsible for working in collaboration with the President/CEO to create, implement, grow, and manage the organization’s fund development program, including individual and corporate giving, grant management and other support from foundations, organizations, government, and other entities within an assigned territory. The Development Manager will also oversee special events as well as marketing and communication efforts to raise the visibility and brand of the Presbyterian Home for Children, which will establish our organization as a relevant and worthy leader in the field of child and family services. Click here for more information.